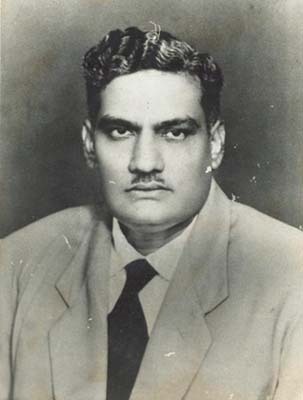 Sushil Mukherjee was the founder publisher of Minerva Associates in Kolkata. He brought out most thought provoking writings of famous authors like Jaya Prakash Narayan, Niran Dhar, V R Narla and others. He was the founder president of Kolkata book fair. Sushil was staunch follower of M N Roy thought. I came into contact with him during early 1970s and invited him to Hyderabad. He obliged and I introduced him to V R Narla, the founder editor of Andhra Jyothi. We met several times at Narla�s house in Hyderabad. Sushil was very much enamored with the thought and personality of Narla and readily offered to publish his book: Gods Goblins and men. It was occasional sayings and ephoristic thoughts of Narla.It were sold well and the readers were provoked with the new thought. Sushil also wished to publish my book on Andhra Pradesh politics but I had already published it through some other book publisher. Since then we were in constant touch and correspondence. Sushil�s most controversial publication: Vedanta and Bengal Renaissance by Niranjan Dhar created uproar among orthodox Hindus. I used that book for free articles, especially on Vivekananda. My articles published in Udayam daily created much controversy and agitation. Sushil brought out the most dynamic book of late Jaya Prakash Narayan�s decentralisation policy. In Hyderabad I introduced Sushil ji to several rationalist, humanist friends. Much later I went to Kolkata and visited Sushil ji at his residence. By that time he was octogenarian and sick. He was in wheel chair. Sushil was smoker and pleasant conversationalist. He hosted us and told us that he is shifting to new house. That was my last visit to Sushil ji .He died in 2007.